If you already have played the original Mino Monsters, you’re probably familiar with the game’s basic mechanics. 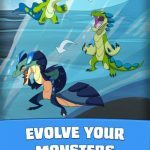 But regardless whether you’re familiar with the series or not, we recommend checking out our Mino Monsters 2: Evolution tips, cheats and strategies for the ultimate guide to properly managing your monsters. The graphics in Mino Monsters 2 are stunning, but when it comes to the battles, those high-quality graphics don’t make up for their slow pace. If those slow battles are too hard for you to sit through, hit the 2x button in the upper left of your screen. You can also hit the Auto button to enable auto-battle mode, thus allowing the game’s AI to do the fighting on your behalf. That’s often, if not always the case with auto-battle modes. They’re a great time saver and allow you to sit back and let the AI do its job. But there are times when the AI is just too simplistic and obvious to ensure victory. In Mino Monsters 2, that’s not always the case, but you still would want to do things manually on certain occasions. Manual fighting is best when you need to use special attacks or healing moves, which go unused in auto mode. You need to do more tactical strategy to get the rarer Mino Monsters in this game. So how would you go about this? First off, you’ll need one of your weakest Minos, and use a stronger Mino to rob them of as much HP as you could. Then keep draining that monster’s HP until they’re almost out of it. Wrap this up by throwing the candy; you’ll have a better chance of catching a rare Mino with rarer candy. Gems are the game’s premium currency, so you shouldn’t spend them frivolously. 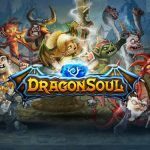 Save up to buy monster chests or dragon chests, which could then earn you some ultra-rare monsters. Item chests are also available for you to purchase with your gems, and they can give you rare weapons and armor. Then again, you’re better off replaying previously completed levels if equipment is what you need; you’ll earn them through equipment drops in these levels. If you’re dealing with a particularly nasty boss, then it would be best to find out which element they represent, and use an element that is strong against theirs. The mechanic here is basic rock-paper-scissors – water beats fire, electric beats water, fire beats electric. Don’t forget to level up your monster, though, and have some healing items ready in case the going gets tough. Your Mino Monsters should always be using the best possible equipment, as long as they’re available to equip. Level up your Minos so they can be equipped with certain items that can’t be accessed if they’re not at the right level. If you’ve got a monster who got killed in battle, you can use one of your Revives to bring them back to life. Or you can also watch an ad video, which will heal your monster by 20 percent. These are free videos that make it essential for you to play this game while connected to Wi-Fi or cellular data; no Internet, no videos! When it comes to evolving your monsters, you’ll need a certain type of berry that will differ depending on the monster you’re evolving. But you can easily find out where you can get the berry needed for evolving a specific monster. Go to the monster’s profile, click on the Evolve tab, and tap on the berry. You’ll be given instructions on where you can find the berry and how you can do it. The Islands menu will show you a wealth of things you can do aside from taking part in the main story quests. Tap on an event and you can take part in it, but be warned that these are a bit harder to complete than the main battles. But with more difficulty comes better and more rewards. You’ll want to take part in as many of these events as possible for more freebies you can use to make your monsters better. Mino Monsters 2: Evolution has a PvP mode where you can take on other human players for even more goodies. These include coins, higher rank, and other stuff that you can use for your monsters. But you also have to choose your battles wisely – always check the experience of your opponents’ monsters before taking them on. Lower-level monsters will be easy to defeat, while higher-level ones will give you a hard time. If you’re evenly matched, then it will all boil down to strategy, and the right choice of elements. If you have more candy than you have berries, but not enough monster slots, then you can work around this by selling your monsters and getting berries in exchange. You may want to level the Minos up a bit if you’ve got the coins for it, which will help enhance their value before you sell them. 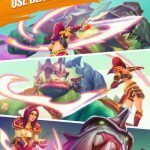 Do you need some tips for acquiring rare, epic, mega and guardian minos? 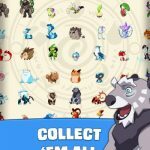 Our dedicated Mino Monsters 2: Evolution guide provides you a couple of neat hints, that will help you get some rare Minos. And we also have some pretty cool tricks on how to level up and evolve your Minos properly, that you can check out right here.